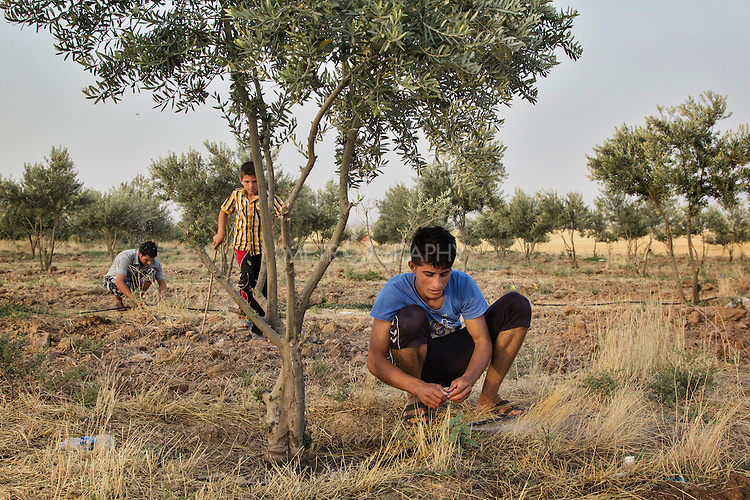 04/07/2015 -- Dibaga-Makhmur-, Iraq -- Young displaced men from Jarallah village work in the fields in the evening at the chicken farm in Dibaga. In this season they mainly collect potatoes that will be sold at the market in Dibaga. Copyright: © Hawre Khalid / Metrographyall rights reserved.